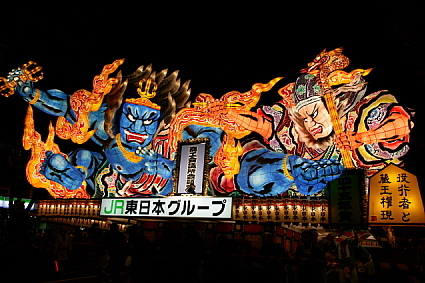 The Aomori Nebuta Festival(青森ねぶた祭) is being held in Aomori City, Aomori Prefecture from August 2nd to 7th. 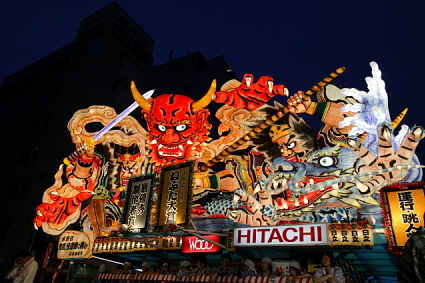 Nebuta floats parade through the city. 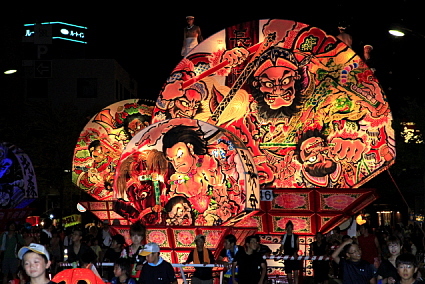 Nebuta or Neputa is a summer festival held in many areas in Aomori Prefecture. The festival is said to have originated as a combination of the Star Festival, Bon Festival and traditional folk events. 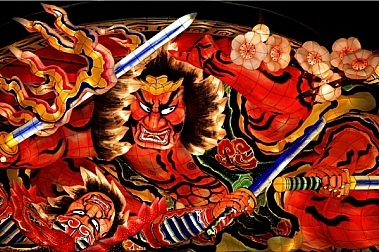 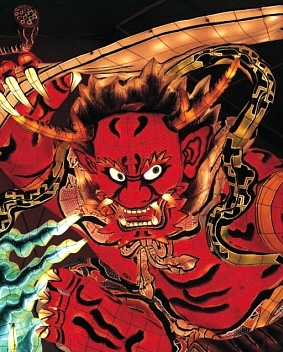 According to the most widely believed theory, the word "nebuta" or "neputa" is derived from "nemutashi" which means "sleepy." 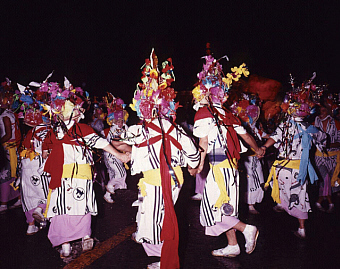 It was a folk event to drive off the demon of drowsiness that hampers the people's farm work. 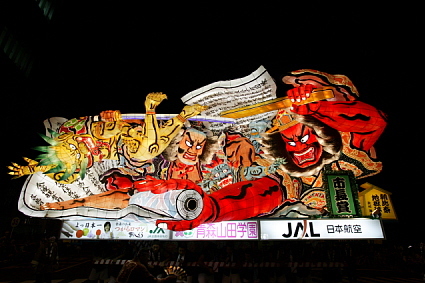 Nebuta floats are giant intricately-shaped paper lanterns. 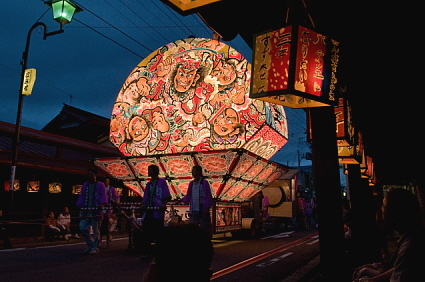 At the end of the Bon Festival, people send the souls of the dead who have returned to their families back to the next world by throwing lighted paper lanterns into the river or the sea. 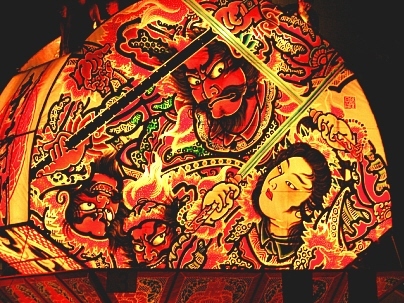 These paper lanterns are thought to be a primitive form of nebuta(neputa). 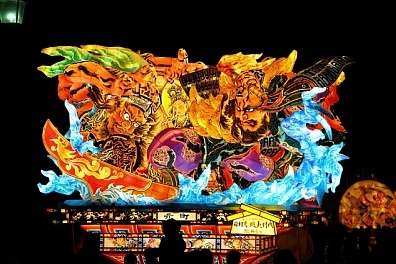 The floats are designed based on the famous scenes of kabuki, myths and historical figures in Japan or China. 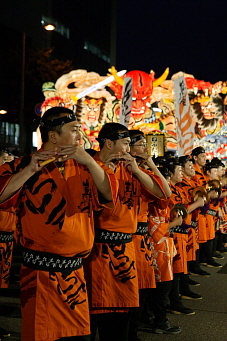 Haneto(跳ね人) dancers in colorful costumes bounce to the rhythm of the lively music saying "Rassera (らっせーらー)." 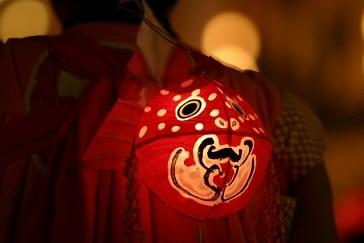 Haneto means a hopper. 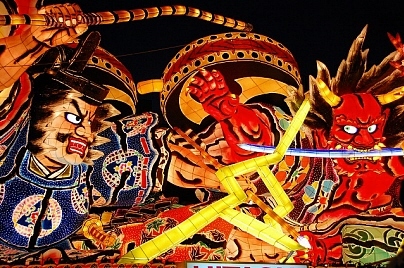 Aomori Nebuta and Hirosaki Neputa are well known all over Japan. 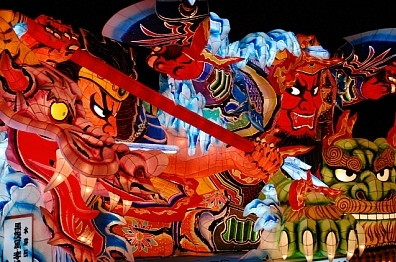 The Hirosaki Neputa Festival(弘前ねぷた祭り) featuring fan-shaped floats is held in Hirosaki City from August 1st to 7th. 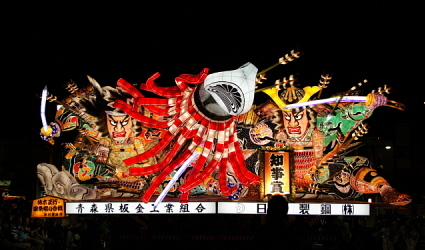 The Kuroishi Neputa Festival(黒石ねぷた祭り) is held in Kurosaki City from July 30th to August 2nd. 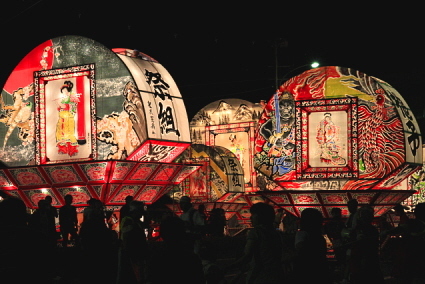 The Gosyogawara Tachineputa (五所川原立佞武多） is held in Gosyogawara City from August 4th to 8th. 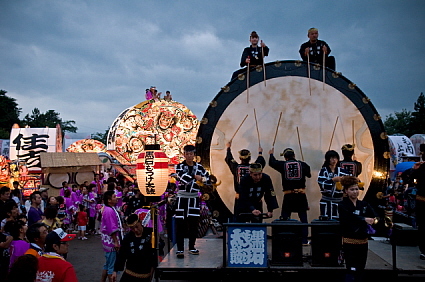 It features floats with a height of 22 meters called Tachineputa. 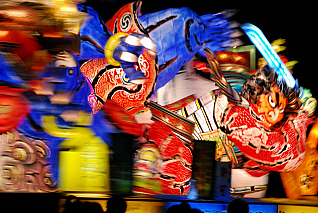 Goldfish Nebuta(金魚ねぶた) was made as a paper lantern and appeared in nebuta festivals in the latter half of the 19th century. 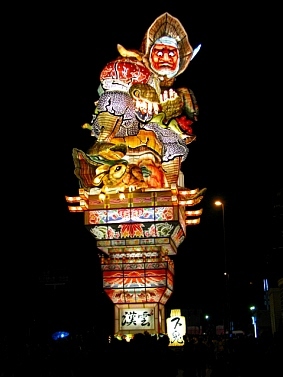 It was modeled after Tsugaru-nishiki(津軽錦) which was a species of goldfish bred in Tsugaru Area. 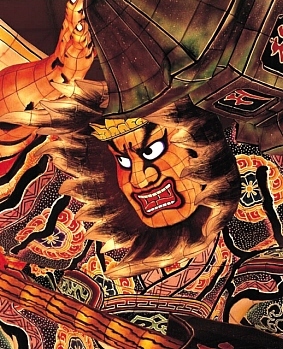 Members of the Tsugaru Domain bred goldfishes by order of the domain's lord to sell them as a local specialty.